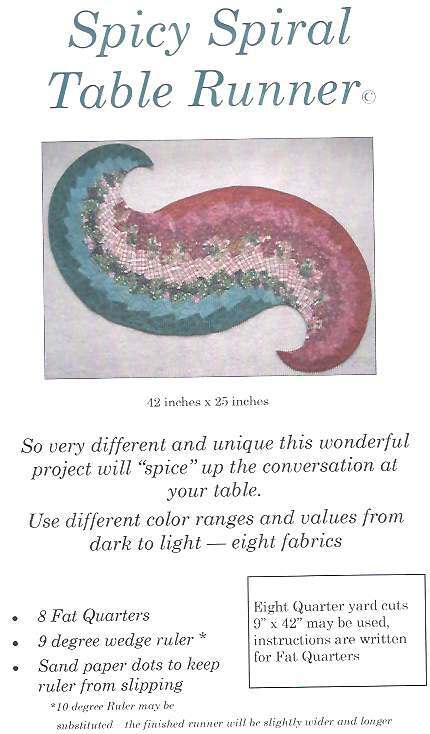 This table runner pattern is so very different and unique and will "spice" up the conversation at your table. Use 8 different fabrics in varying color ranges and values from dark to light. Pattern calls for fat quarters but quarter yard cuts will also work. You will need a 9 or 10 degree wedge ruler to make this runner.